Pamper yourself with an exceptional excursion on Wednesday to lovely Lawrence, KS to take in twelve terrific shows, with breakfast and lunch included! This is a timed tour, so the bus stays with you the whole time, and no one is left behind. The tour will have its own incredible and gregarious guide, who is local, knowledgable and entertaining to boot! Buy your bus ticket now to ensure a spot on this tour, then wait for your beautiful day to begin when you board the bus between 8:15 and 8:30am on Wednesday morning on 14th street, right alongside the Convention Center! 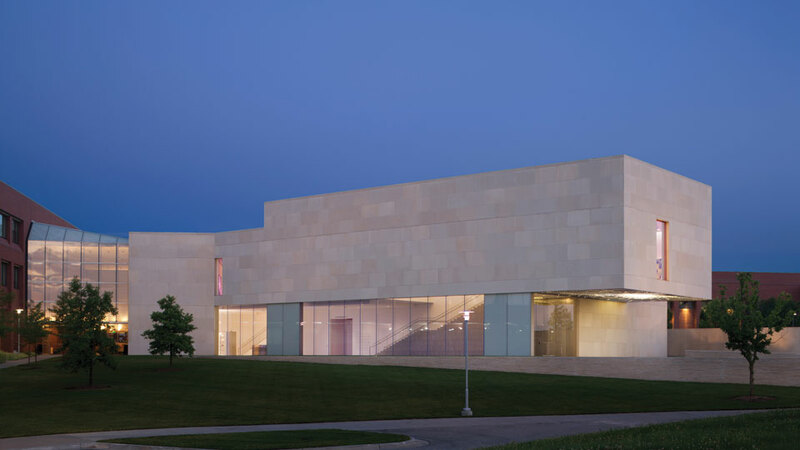 Your tour guide will even answer any questions you might have about Lawrence or NCECA during the 45 minute trek. 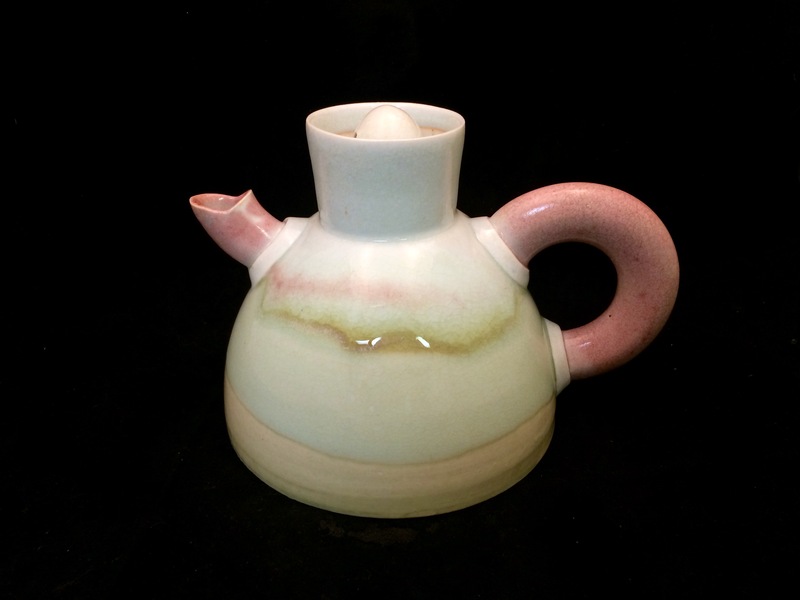 At 9:15am, you will arrive at Bracker’s Good Earth Clays, where coffee and locally made cinnamon rolls from the town’s most popular bakery will be waiting for you to enjoy while you check out the NCECA shows, Midwest Mentors and Kansas Clay Connection II, plus as an added bonus, Anne’s teapot collection will be on display as well, including teapots from Warren MacKenzie, Steven Hill, Richard Peeler, Angelo Garzio, Harris Deller, Linda Sikora, Sam Chung and many more. At 10:00am The bus will depart Bracker’s Good Earth Clays for a short 10 minute ride to the beautiful and spacious Cider Gallery where you will have ample time to completely peruse the exhibition titled 701 Louisiana before departing for Lawrence’s central hub for local artists of disciplines. The Lawrence Arts Center‘s beautiful galleries are hosting three carefully curated exhibitions, Naturally, Kingdom, Lindsay Pichaske, and Kris Kuksi, Solo Exhibition, representing an eclectic blend of contemporary ceramics. You will then enjoy a glimpse of the heart of Lawrence’s shopping, restaurant and gallery district on Massachusetts street, where you can visit Growlerfest at Free State Brewing Company and the Salt & Pepper Shaker show at the Ladybird Diner. While you take in the flavors of downtown Lawrence, your bus driver and tour guide will pick up a beautiful lunch for you to enjoy on the bus, but first, no trip to Lawrence is complete without a stop at the University of Kansas, home of the Jayhawks. At 12:15pm, the bus will arrive at the Art & Design Gallery in Chalmers Hall on Kansas University campus hosting two exhibitions, Richard W. James MFA Thesis Exhibition and Poetics of Voids: Containers that Anticipate. At 12:45pm you’ll depart the Art & Design Gallery and begin heading back to Kansas City, but don’t worry the city of Lawrence will welcome you back any time! Enjoy your final taste of Lawrence as the bus takes you on to Overland Park, Kansas to the Nerman Museum at Johnson County Community College to enjoy the show “Convene” By 2:30pm, you will arrive back at the Kansas City Convention Center, ready to enjoy the afternoon and evening festivities in Kansas City! Click here right now to purchase your “personal passport” to Lawrence! Ordered last week, looking forward to this!!! Thanks LEW!! !